As a beauty blogger, it's safe to say I've always got shopping on my mind. 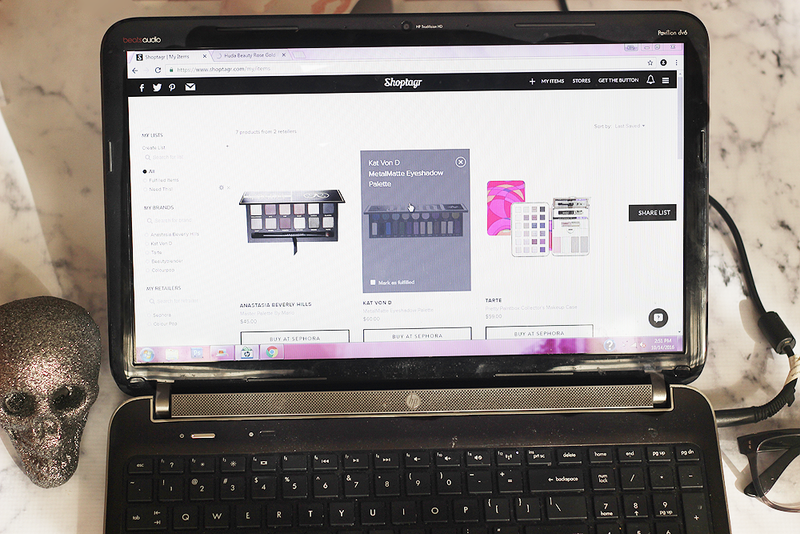 I'm constantly putting things in various online carts to eventually come back to and buy (emphasis on eventually). Which is why I'm a huge fan of Shoptagr - a site that allows you to save and track all your favorite products in one place - and notifies you when they go on sale! Shoptagr lets you save products from over 800+ stores! I chose Sephora (because obvs) and wanted to save the Anastasia Beverly Hills Master Palette by Mario to my wish list. 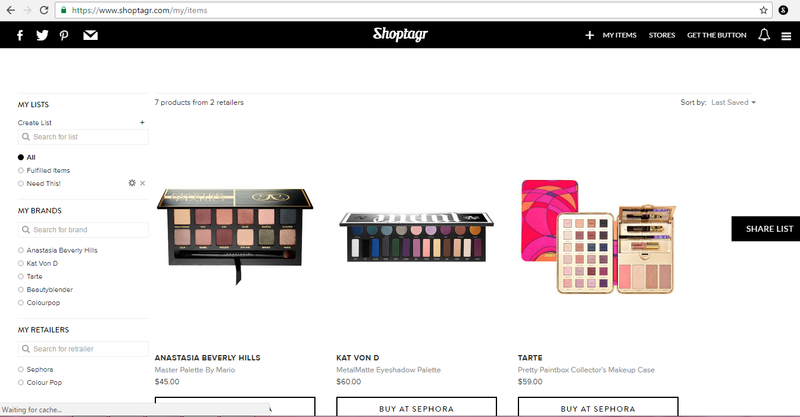 After downloading the Shoptagr extension, I clicked on the green "S" icon in the right hand corner of my internet browser which popped up the box you see above. Here, I can pick what price change I want to be notified of and which list I'd like to put it on. If you're saving clothing, it'll ask you what size, color, etc. 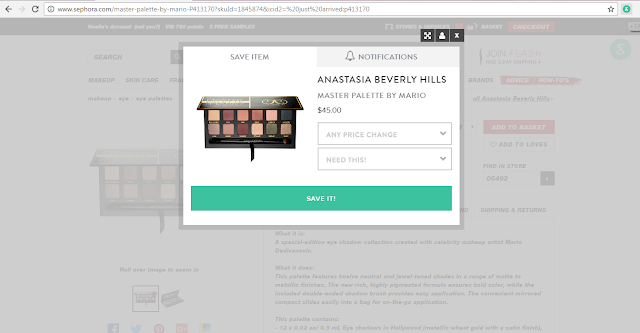 Once you click "save it", it'll automatically save to your wish list which you can view anywhere. Shoptagr will then immediately notify you if your product goes on sale (down to the specific size and color you chose) as well as notify you if your product is back in stock so you never miss out on saving some moola! I mean, how awesome would this be for those Black Friday deals? 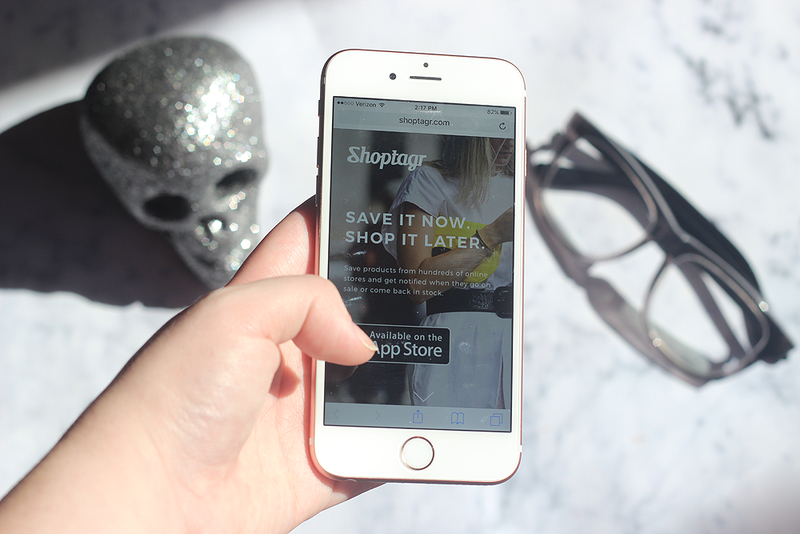 If you're like me and usually use your phone for most of your online shopping, you can use Shoptagr on there as well as its available for Androids and iPhones. Simply download the Shoptagr app, enable it as a bookmark option and get to savin'. 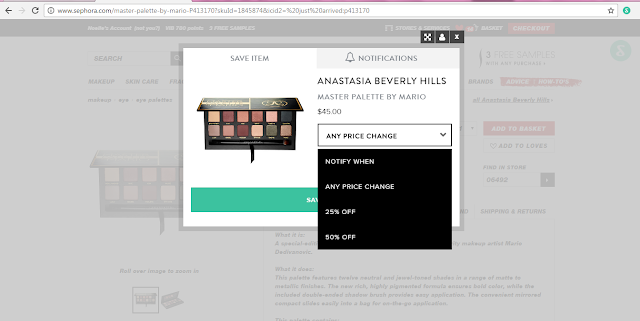 It will notify you via text when there's a sale or if something when back in stock on any of the products you've saved! Do you use apps/extensions to save money? Which ones are your favorite?